UNISON represents 30,000 members working in further education and sixth form colleges across the UK. UNISON supports college members in the full range of workplace issues including job evaluation, mergers, outsourcing, contract renegotiations, discipline, grievances, performance and sickness. Nationally and locally we campaign on improving pay – including introducing the living wage for the lowest paid college workers – and minimising the negative impact of the FE area reviews. A4 newsletter aimed at informing and recruiting staff employed in further education. Sheets of 15 stickers that read Love Our Colleges and 15-19 October. 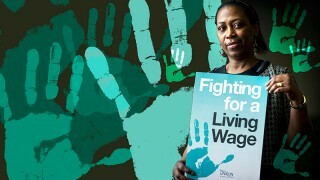 Part of the sector wide campaign for better funding and fair pay in further education. Limit of 50 sheets per branch. UNISON is the union for all support staff in further education colleges. This leaflet sets out why UNISON has support staff interests at its heart. 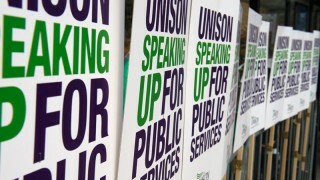 UNISON is the union for all support staff in further education colleges. This leaflet in Welsh and English sets out why UNISON has support staff interests at its heart. This is a joint agreement on the avoidance and handling of redundancies in FE (England). This is a joint model agreement for use by branches and college reps dealing with Area Reviews, mergers, shared services, restructuring and redundancies. Joint Agreement on Guidelines for Parental Leave in further education. Joint Agreement on Guidance on Equality in Employment in Further Education Colleges. Published May 2012. This agreement is intended to provide a framework to College Governing Bodies, College Principals and lay officers of local trade unions to ensure the National Contract (the national contract of employment) is implemented consistently within FE Colleges incorporated under the Further and Higher Education Act 1992, as amended from time to time, in Wales when engaging and/or regularising the employment of all employees be they full time, fractional or part time hourly paid. Across the public sector, employers are increasingly turning to “shared services” as a means of saving money, under the guise of increased efficiencies. In the past this has typically referred to “back office” operations like processing records, payroll, finance and benefits. Proud to be a college worker. Further education sticker. Proud to be a college worker sticker. 16 to a sheet. Order by the number of sheets. 20 sheets maximum order. National agreement on lecturer’s workload allocation for further education colleges in Wales. This Scheme forms part of the National Agreement on the Further Education Common Contract. This agreement has been reached between the recognised trade unions and ColegauCymru. Organising and negotiating to address workload in schools – a guide. This guidance gives practical advice on how to share and raise concerns about workload issues with colleagues and managers and what should be included in a workload agreement with employers. This scheme sets out the rights, entitlements and obligations of all employees who are absent from work owing to sickness, injury or other disability. Young workers and the minimum wage. A5 leaflet with information on the basic employment rights. Of particular use to UNISON members working with young people in schools, colleges, careers services, youth services, leisure centres and through social services.